you haveto subset a data frame using as criteria the exact match of a vector content. you have a dataset with some attributes, and you have a vector with some values of one of the attributes. You want to make a filter based on the values in the vector. Example: sales records, each record is a deal. The vector is a list of selected customers you are interested in. Is it possible to make such a kind of filter? you just have to use the %in% operator. let’s see how to do it in the short tutorial here below. 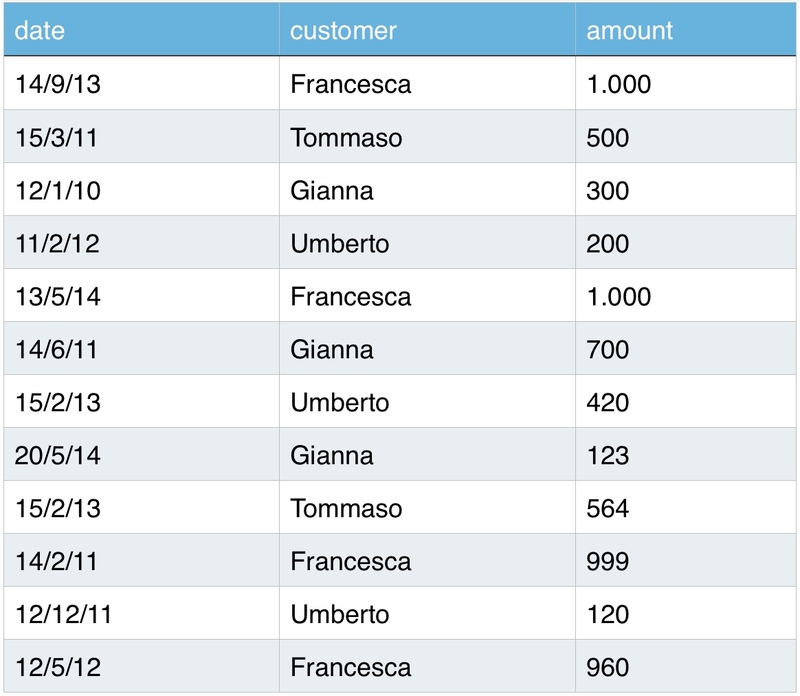 suppose you want to extract sales to Francesca, Tommaso and Gianna. first, you have to assign those names to a vector. then, you can write the filtering statement, using the_%in%_operator. “ select only values present INthe specified group”. Let me know if you use any other method to obtain the same result. Finally,if you enjoyed the tutorial, you can find more tutorial on pageTutorial(quite obvious, isnt’ it? ).